I love how this nooy dress turned out! 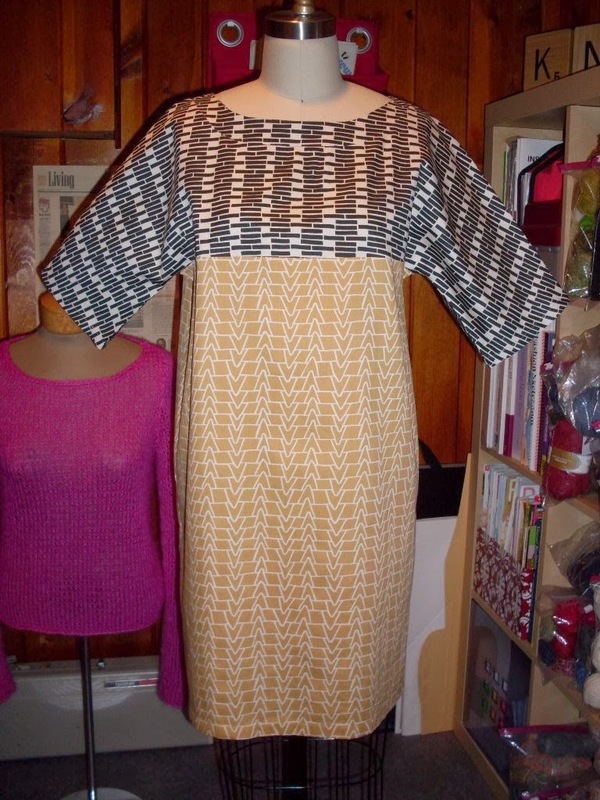 Originally, I was planning on using the Fieldwork fabric for the entire dress. I wanted the triangle print on the bodice going horizontally and the print on the skirt going vertically. But after going to the Bolt sale over the weekend and picking up more fabric from Ten14 Textiles, I had another idea. I used the Bricklayer fabric for the bodice and the Fieldwork fabric for the skirt. 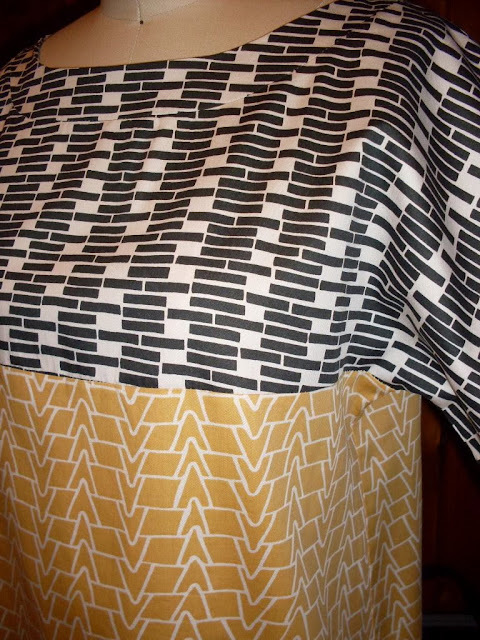 I love the light and dark contrast between the two prints and think they complement the simple style of the dress. I can't wait to wear it! duuuuuude. That dress is so FANTASTIC!!! I really love it.